Faithful to the principles that have ensured the transmission of their ancestors’ values from generation to generation, the current Partners of Lombard Odier head a private bank that is the oldest in Geneva and has a presence in Europe, the Middle East, the Far East, and the Americas. Lombard Odier continues to be an innovator in the field of investment and to design bespoke banking solutions. 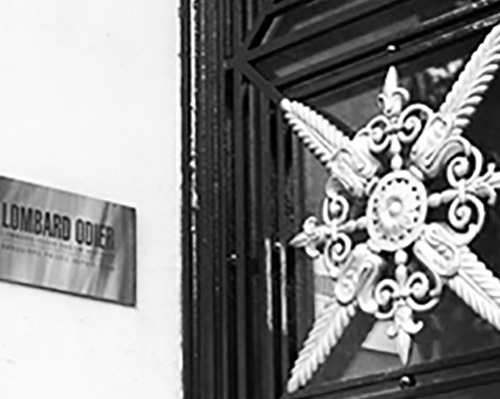 Lombard Odier is headed by eight Managing Partners, who represent up to the seventh generation of bankers running the firm. They are both owners and managers and are involved with leading the firm’s strategy and management as well as serving clients. Since its founding in 1796, the firm has stayed true to its primary vocation of preserving and nurturing the assets entrusted to it and helping to hand them to future generations. 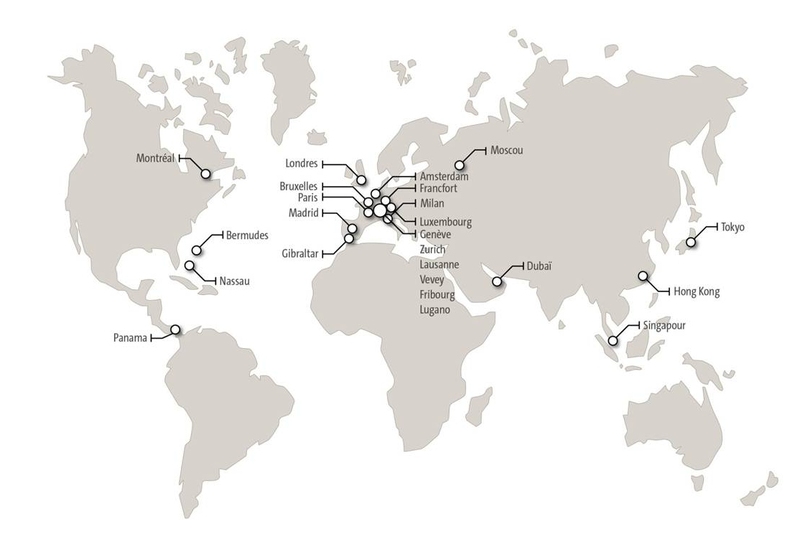 The Lombard Odier Group has a presence in the world’s main financial centres and offers its clients a global perspective through its network of offices in 19 jurisdictions. The Group employs about 2,000 people. Towards the middle of the 18th century, Geneva was profiting from the rise of the textile and watch-making industries, which triggered a process of capital accumulation and a concomitant demand for skilled bankers. Henri Hentsch established a silk-trading and commission business on January 11, 1796, before joining forces with his second cousin, Jean Gédéon Lombard on June 19, 1798. The two men described their principal business as "commissions operations", the exchange transactions necessitated by the multiple currencies in use during the period. During the Restoration, Geneva, now part of Switzerland, saw a return to stability and growth. Beginning in 1830, Jean-Eloi Lombard took over the bank’s internal development, acting as director for the next 40 years. His brother Alexandre struck out for new horizons as one of the first to recognize the potential of North America. Their new Partner, Charles Odier, attended to international financing operations, particularly in maritime and river transport and in the railway sector. In the mid-19th century, Alexis Lombard and James Odier took over the management of the firm and, over the next 50 years, helped to make it one of Geneva’s leading institutions. Testament to the bank’s contemporary celebrity is to be found in Jules Verne’s novel From the Earth to the Moon (1865), in which the Firm is listed among the backers of a fictional interplanetary project. Driven by their entrepreneurial spirit, the Partners helped to create the Geneva Stock Exchange, Switzerland’s first such institution, in 1857, and the Swiss National Bank in 1907. They also pioneered the field of pensions: James Odier and Jules Darier Rey founded the first local life insurance company, La Genevoise, in 1872 and the bank established a pension fund for its employees in 1910, whereas Switzerland itself was not to begin considering a social security program until 1925. Although the First World War left Geneva unscathed, it had serious repercussions on business. At the international level, the end of the First World War brought with it new challenges in the form of restrictions imposed on free trade by the former combatants. Moreover, when the New York Stock Exchange crashed in October 1929, the gloom rapidly settled over Europe and ultimately reached Geneva. The bank rode out this difficult period, which featured a slow-down in its activities that was not to end until the Second World War had drawn to a close. "The current mood of enthusiasm reigning on the Stock Exchange (…) makes it our duty to remind staff of the dangers of speculation"
Driven by Marcel Odier, the firm became the first Swiss private bank to open a branch abroad, in Montreal in 1951, and the first European house to own a seat on the New York Stock Exchange in 1979. Marcel Odier also persuaded his Partners to install the bank’s first IT system in 1957. On the business front, the 1950s saw other innovations, such as the creation and distribution of investment funds in Europe. The firm was also quick to note the needs of institutional investors and, in the early 1970s, established a department specially designed to meet their requirements. It was this same spirit of innovation that led to its participation in the creation of an electronic Swiss stock exchange in 1993.